This is a short non-fiction book about the celebrity culture in which we currently live. It is interesting and definitely worth the time to read it. 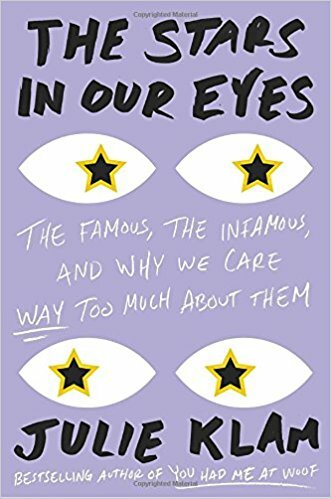 The cover of the book says “The famous, the infamous, and why we care way too much about them”. I expected more research than the two studies that were described in the book. However, both of them were fascinating. One was a study of monkeys that proved that even monkeys are enthralled by alpha or celebrity monkeys. The second study tested which celebrities were people’s favorites and why. Basically, celebrity worship is in both our DNA and our brains so it is unlikely to stop soon. The rest of the book was interviews with people that are successful in their own field, including some actors, about how they felt about celebrities. Some had good insights. My favorite part of the book was the intermissions at the end of each chapter. They were descriptions of meeting stars in person. The story about Mohammad Ali was very heartwarming and funny. If you like non-fiction, this is a nice light vacation read. I received an advanced reading copy of this book in a Goodreads giveaway but that has not impacted my review.